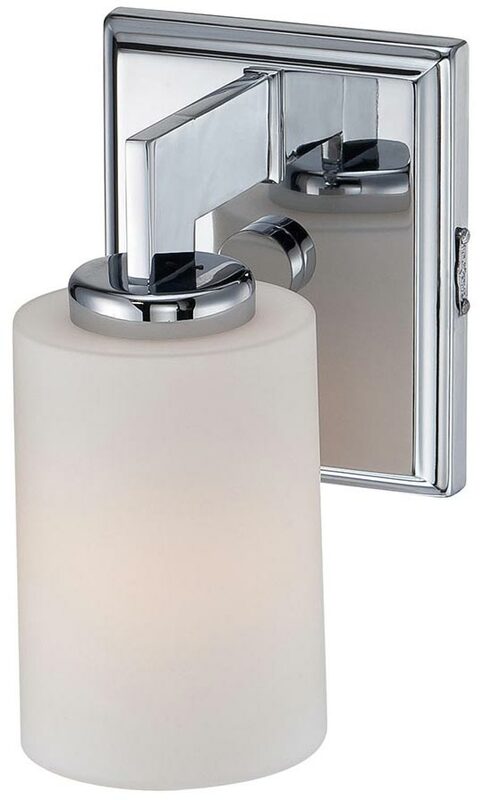 This Quoizel Taylor polished chrome 1 light small bathroom wall light with opal etched glass shade is rated IP44 and features contemporary style. Square wall mount, right-angle flat bar arm and satin etched opal glass cylinder shade. The supplied energy efficient LED lamps shine through the opal glass for an all-round softer light and can be fitted facing up or down, please see secondary image. With its linear style and precise design, the Taylor collection will enhance any room in your home. The opal etched glass complements the polished chrome finish beautifully and makes it suitable for modern and classic bathrooms alike. If you are searching for a small quality wall light to complement your bathroom, this is certainly one to consider. The smooth, sleek lines are suitable for a contemporary setting, whilst the retro style makes it suitable for traditional and period bathrooms too. Rated IP44 and suitable for zones 1 and 2. Specifically designed for use in bathrooms but can be used anywhere inside your home except wet rooms. There is a matching large wall light, a semi-flush ceiling light and three-light over mirror fitting in the Taylor lighting collection; please see below for the full range. This bathroom light is supplied by Elstead Lighting and designed in the USA by Quoizel, founded in 1930 in New York. 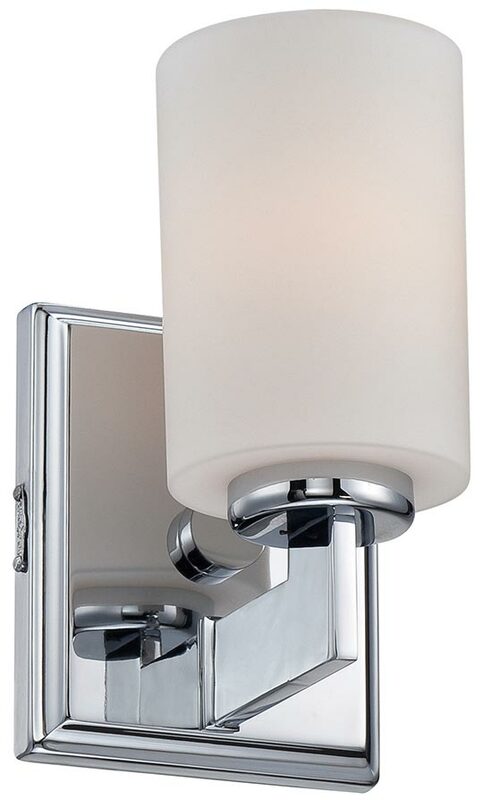 Their designs embody a history of being artisans in glass and natural materials that illuminate your living space and enhance the beauty of your home, such as the Taylor polished chrome 1 light small bathroom wall light with opal etched glass shade featured here.